Atlanta, GA: On the fine sunny morning of Saturday September 19, 2015. 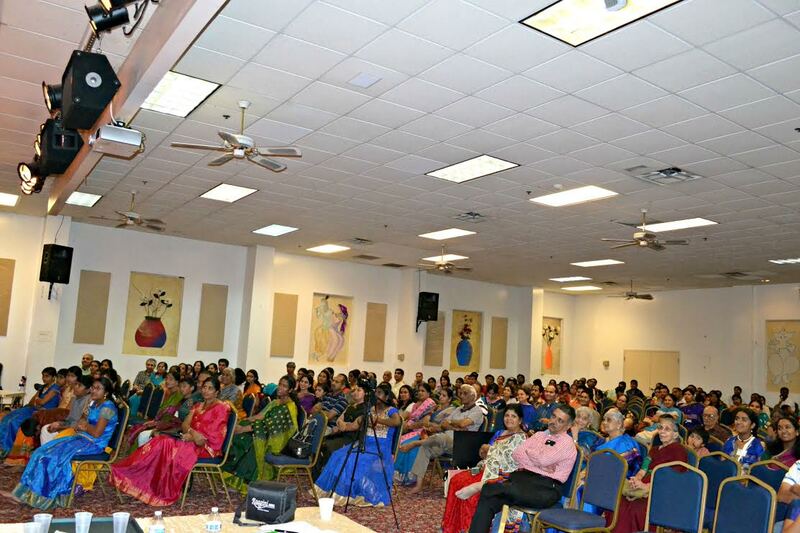 The Hindu Temple of Atlanta (HTA), Riverdale’s auditorium was already full with young participants, their parents and teachers anxiously waiting for the ‘Carnatic Samraat Music Competition’ to begin. 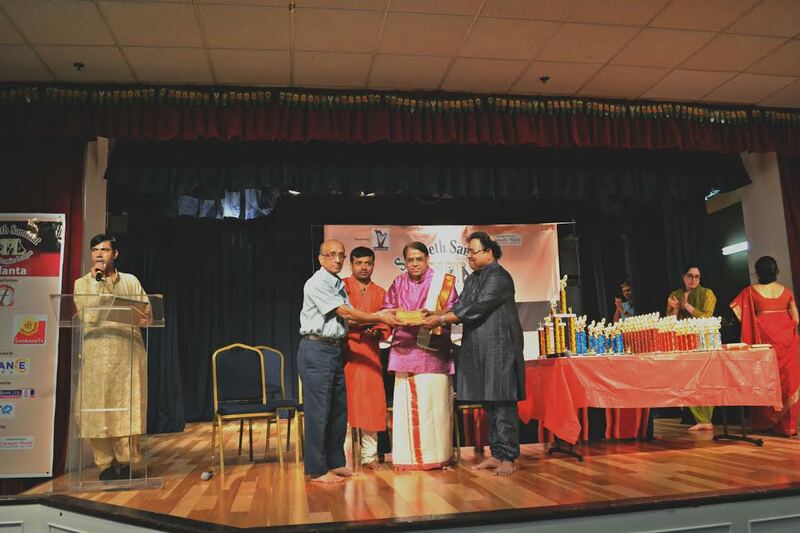 The competition was judged by leading professional musicians- Chitraveena Ravikiran, Violinist Sri Nagai N. Murali, Chitraveena Ganesh, and Mridangist Sri Thiruvarur Vaidyanathan. 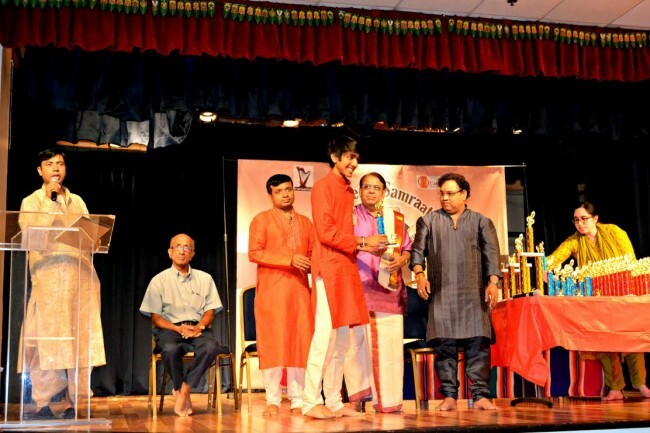 Sri Ravikiran is a child prodigy who began performing since the age of 12. He is one of the eminent instrumentalists in the world known for his contribution to both Indian music and other world music systems. Sri Nagai Murali, violinist, is one of the top ranked violinists in the Carnatic music field today. Sri Ganesh is both a well-known vocalist and a Chitraveena artist. Sri Thiruvarur Vaidyanathan is a most sought-after percussionist who accompanies all the high profile artists in the Carnatic music field. The participants fromAtlanta, about 150 of them, varied in their ages from five to 30 years. Their musical training and experience also varied from two years to several years. 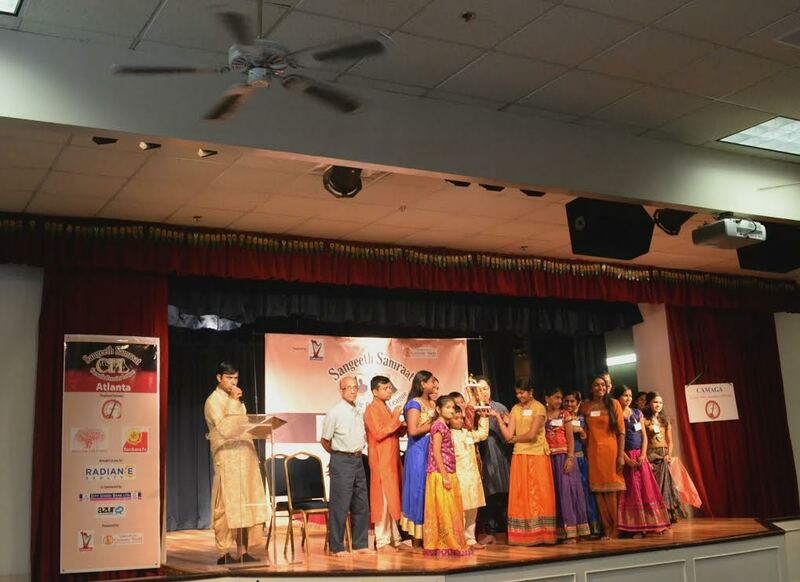 Consequently, the participants were grouped into categories – Bala Samraat and Yuva Samraat – juniors and seniors. Each participant competed within his/her peer group. The event also included participants who performed as a group. The groups, consisting of between eight and ten vocalists and instrumentalists, performed a choir or a symphony. The choir and symphony were innovative creations from out of a traditional Carnatic composition that was put together by the talentedAtlantaarea music teachers. After each group’s presentation the rapt audience showed it’s appreciation with standing ovations. The master of ceremonies for the event, K. N. Shashikiran, is a very illustrious vocalist. He conducted the entire competition flawlessly and with patience. He encouraged the young performers to do their best and gave excellent feedback to each participant on what they did best and what they must focus on more to grow into talented performers. Parents and teachers appreciated the guidance and mentoring provided by Sri Shashikiran and his eminent group of judges. 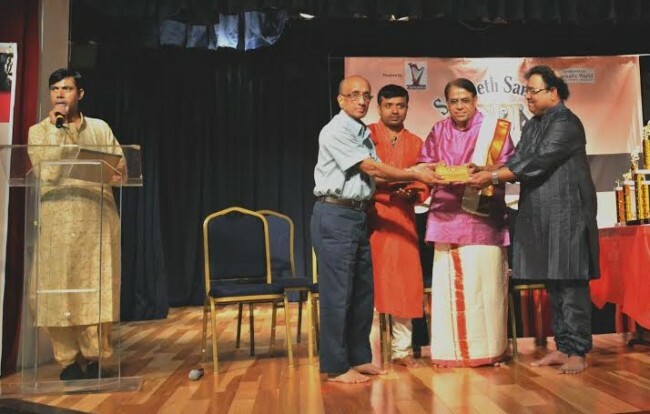 A special mention should be made of CAMAGA, The Carnatic Music Association of Georgia, who had sponsored the event. Dr. Ram Sriram, President of the organization, commented that the event was successful only because of the dedicated work of CAMAGA’s volunteers who had worked tirelessly for the past three months. He stressed that such competitions are essential, not only to give the youngsters growing up in a foreign land a stage to perform but also to get them interested in our culture and heritage. He noted that CAMAGA every year organizes at least one or more events primarily to ensure participation by the youngsters. Dr. Sriram exhorted parents and teachers to encourage their children to also attend concerts by leading professional musicians organized by CAMAGA several times during a year, as listening to live concerts by professional musicians is a great way to understand improvisational techniques and to learn the subtle nuances of performing. Please note that the list of winners is available at www.camaga.org.